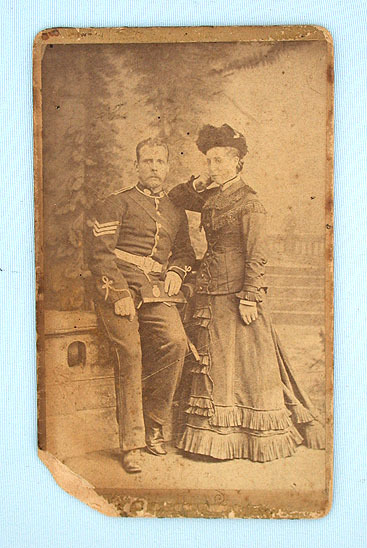 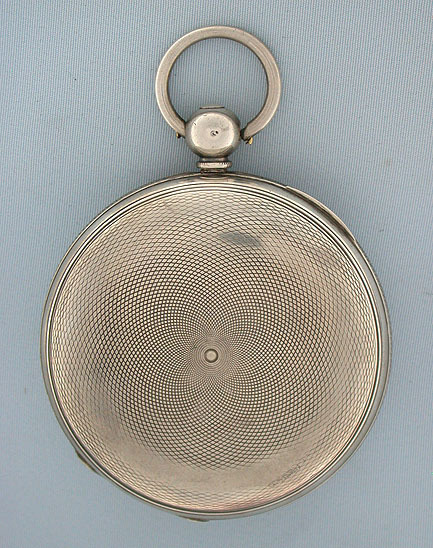 Fine and scarce Civil War presentation watch with photograph and roster. 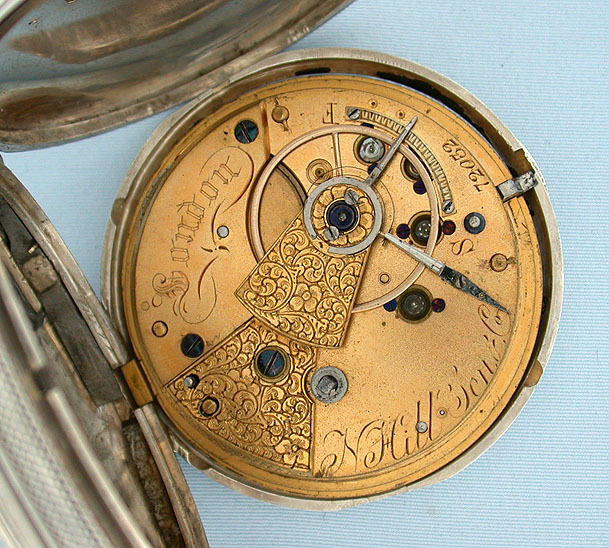 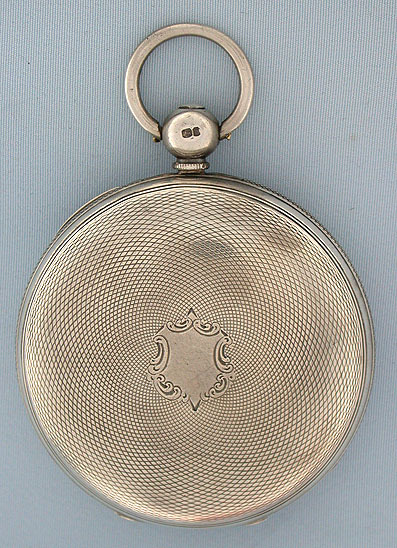 Silver English lever and fusee antique pocket watch by N. Hill, Son & Co., London, hallmarked 1859. 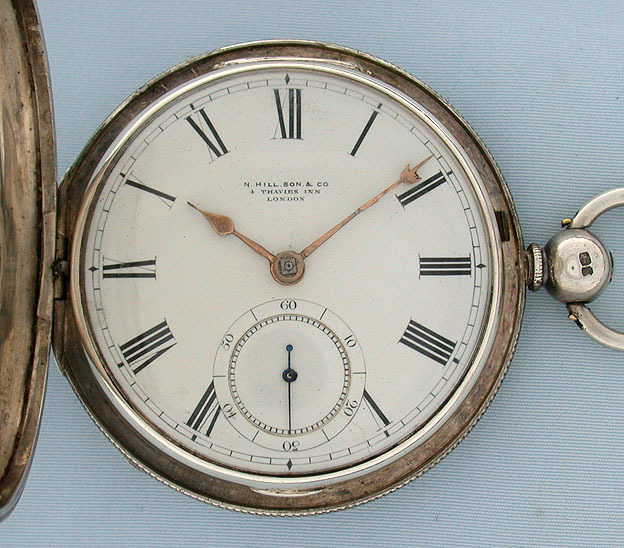 White enamel dial with gold hands, the minute hand with pointing finger. 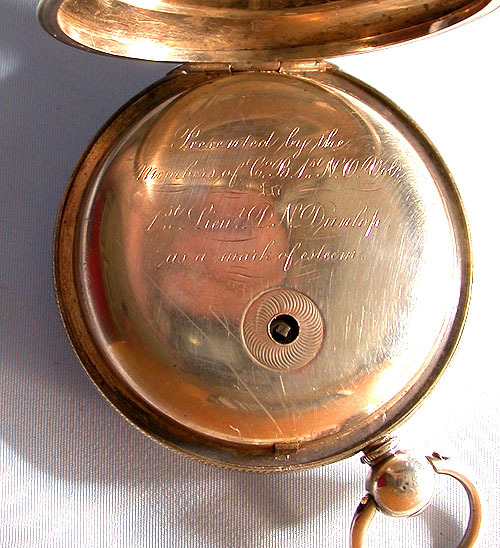 Engine turned silver case engraved inside " Presented by the Members of C.B 1st N.O. 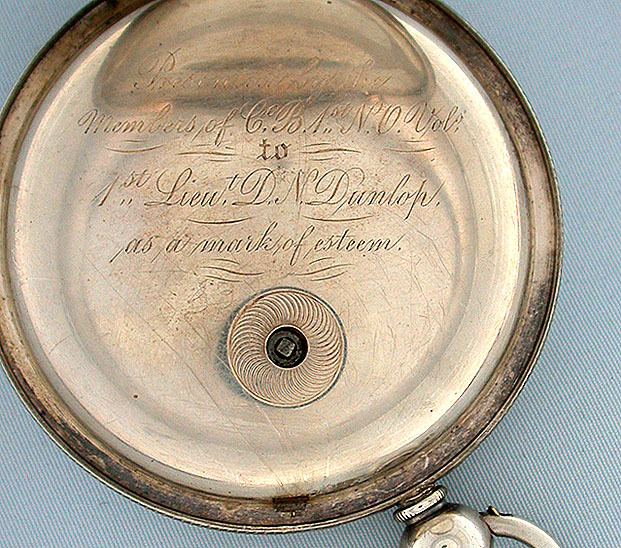 Vols to 1st Lieut D.N.Dunlop, as a mark of esteem." 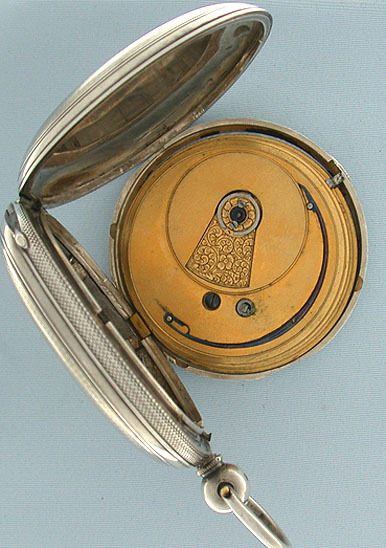 Gilt 15 jewel lever and fusee movement with jewels in screwed settings and diamond cap jewel. 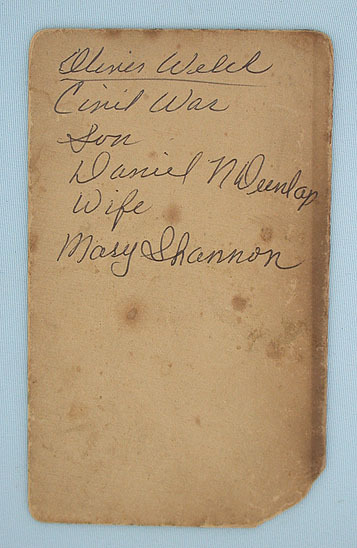 With a photograph of Dunlop and a copy of a roster listing him as a Union soldier sent to guard the mouth of the Mississippi.